It's probably safe to assume that you don't think about your windshield wiper blades much. But when you're on the road and things start to get wet, you want wiper blades that can stand up to the weather. And that's why our team spent hours thinking about wiper blades for you. To create this curated list of wiper blade recommendations, we considered styles of blades (namely beam or bracket) weather resistance and more. Learn more about these factors in our wiper blade buying guide below. Read more about our methodology. With its excellent cleaning performance and reasonable price for a premium wiper, the Bosch Icon is our top choice for an all-season beam blade. Its durable dual-rubber blade construction also gives the Bosch Icon enhanced longevity compared to other models. For an affordable yet high-quality beam-style wiper, look no further than the AERO Premium. Its wide compatibility, consistent streak-free performance, Teflon-coated blade, and excellent price point make the AERO Premium a great all-season wiper for the budget-conscious. True to its name, the Michelin Stealth Hybrid is not quite a bracket blade or a true beam wiper. The Stealth Hybrid features Michelin’s sturdy Smart Flex blade design protected in a beam-like enclosure, offering excellent resistance against harsh elements – especially snow and ice. The PIAA Super Silicone wiper is in a league of its own with silicone rubber that treats your windshield with a water-resistant coating. The blades are also very long lasting, with the PIAA wipers being among the few to include a warranty. When it’s time to replace your rear wiper, the inexpensive and OEM-quality ANCO AR series is hard to beat. This rear blade is available in a number of lengths and compatible with a variety of arm attachments for wide compatibility. The first thing you want to settle on when shopping for wiper blades is what type you need. Wipers generally come in two different styles: Beam-type and bracket-type. Conventional bracket wipers feature a rubber blade held in place by a metal frame. The frame uses linked brackets to place pressure on the blade at certain points to keep it flush against the windshield. Bracket wipers have remained the standard design for decades and are still the most commonly used. Quickly gaining in popularity, however, are beam-type blades. Rather than an external metal frame, this newer single-piece design uses a long rubberized housing which encloses a rod of spring steel that distributes pressure more evenly across the windshield. Beam wipers are typically seen on newer vehicles that feature greater windshield curvature, and they tend to be somewhat more expensive than bracket blades with a few exceptions. Wipers are not designed to last indefinitely and will inevitably wear out due to exposure to the elements. Nonetheless, certain design features can enhance performance in inclement weather and can add to the lifespan of your blades. For all-season wipers that can stand up to the ravages of winter, beam blades are superior to bracket wipers due to the lack of an exposed metal frame upon which snow and ice easily collect. Many newer wipers also feature enhancements to the blade component, including proprietary rubbers or coatings such as silicone or Teflon, which reduce weather-related wear and provide smoother windshield clearing. What size of wiper blade you need will naturally depend on your vehicle’s make and model, and you should consult your owner’s manual (or do some online research if necessary) to see what parts your car uses. Wipers are often sold individually as you may need two different sizes for each blade – a larger one for the driver’s side and a shorter one for the passenger’s side. Wiper arms use a variety of mounts, with the most popular being the hook-type. Other methods include pins, pinch tabs, and bayonet mounts. Many brand-name manufacturers will include multiple adapters with their wipers for compatibility with the most commonly used attachment methods. Although even premium wiper blades aren’t excessively expensive, price is still a consideration as you should be replacing wipers fairly often (usually once or twice a year depending on use). An inexpensive pair of bracket wipers can be had for around $16-20, and many users prefer to purchase these affordable wipers and replace them several times a year rather than purchasing premium blades and hoping they last awhile. The Bosch Icon stands above the rest in terms of windshield cleaning, durability, all-weather use, and vehicle compatibility. While moderately more expensive than other blades on our list, the Icon is still reasonably priced for a premium beam-style wiper given its performance and longevity. It’s no surprise that Bosch Icon wipers are highly recommended by many automotive professionals and come standard on many high-end cars. Durable dual-rubber blade construction. The Icon utilizes Bosch’s proprietary ClearMax 365 dual-rubber technology. The blade component of the wiper features a soft rubber core protected by a harder silicone shell, enhancing durability in the face of weather- and use-related deterioration. Tension spring arc creates even windshield pressure. The spring steel inside the Icon’s beam housing places even pressure against your windshield for a custom fit to the contours of the glass. This superior force distribution means less stress on the wiper and efficient streak-free cleaning. Weather-resistant design for all-season use. Along with a beam design that resists snow and ice buildup, the Bosch Icon features an aerodynamic spoiler and shielded connector. These protect the wiper components against forces such as heavy wind and rough weather that can cause it to degrade faster. Wide compatibility for use with most cars. The Icon is available in 12 different lengths ranging from 13 to 28 inches to fit vehicles large and small. The available connector types include hooks, top and side lock pins, pinch tabs, and Valeo top locks for wider mount compatibility as well. Fairly expensive. Compared to other windshield wipers, the Bosch Icons can seem a bit pricey even for beam-style blades. This is hardly a deal-breaker for someone who wants the best wipers for their car, however, and the Icon’s performance and long life – with many users reporting a full year of use or more – make them well worth the price. Designed for newer cars. The Icon’s design is heavily curved and, like many beam-type wipers, is primarily designed for newer vehicles with more rounded windshields. Older cars with flatter windshields may not be suited for these wipers, although the same is true of many beam blades. You don’t have to spend much for good wipers, and even a high-quality pair of beam blades can be had for less than $20 as the AERO Premium proves. The Premium’s blended rubber blades are Teflon-coated for durability and smooth, streak-free operation, and the beam-style design means these wipers can stand up year-round to rain, sleet, or snow. An OEM manufacturer, AERO guarantees quality and is one of the few brands to offer a warranty. Great value. For a pair of new brand-name beam-style wiper blades, the price-to-performance ratio of the AERO Premium simply cannot be beat. This affordability also makes the AERO Premium a great choice for users who like to replace their windshield wipers often. Teflon-coated blended rubber blades. AERO’s blended rubber blades are Teflon-coated for smooth, quiet, streak-free windshield wiping. The flexible beam wipers create excellent windshield contact and are a consistent performer in all types of weather. OEM quality. As AERO is a supplier of OEM wipers for numerous vehicle manufacturers, you can expect the Premium wipers to work just as well as than the blades that came with your vehicle, if not better. Six-month warranty. 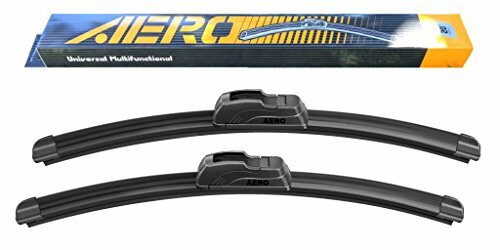 Windshield wipers are designed to be replaced once or twice a year and generally do not come with any warranty coverage, but AERO provides a six-month warranty on the Premium blades – a nice service touch, especially at this price, that most brands don’t offer. Not durable enough for long-term use. A number of users have reported that the AERO Premium is not as durable as other models like the Bosch Icon. While not a big issue for those who plan to replace their wipers often, it’s something to consider for budget-conscious buyers who want their blades to last longer. Limited attachment options. The Premium comes standard with a hook mount, and although this connector type is common on most newer vehicles, the lack of included adapters means that these wipers may not work out of the box with your particular vehicle. If you live in a climate that experiences all the different types of weather that Mother Nature has to offer, all-season wiper blades are a must. These wipers are typically either beam or hybrid designs which offer more protection against the elements, particularly snow and ice, than conventional bracket frames which are susceptible to ice buildup due to exposed metal components. The best all-season wipers also utilize superior rubber blade materials and sleek aerodynamic designs for improved durability and less wind-related stress. Neither a beam-type wiper nor a traditional bracket-style blade, the Michelin Stealth Hybrid features a unique design that is as effective at cleaning your windshield as it is at standing up to pretty much anything Mother Nature can throw at you. The patented Smart Flex design creates an improved windshield fit over conventional bracket frames and the sturdy protective cover gives the Stealth Hybrid an aerodynamic beam-like profile while guarding against snow and ice. Unique and effective hybrid construction. The Stealth Hybrid’s design combines the best aspects of beam and bracket wipers without the disadvantages associated with exposed metal frames. This hybrid design also distributes force evenly across the blade for superior performance compared to bracket wipers that only place pressure at a few points. Protective aerodynamic cover. Although not a beam wiper, the Stealth Hybrid has the appearance of one due to its protective case that encloses the metal components. This gives the blades a wind-resistant profile and eliminates dangerous snow and ice buildup on the wipers. Smart Flex design and independent suspension. Paired with the wiper’s independent suspension, Michelin’s unique Smart Flex technology helps the Stealth Hybrid form a custom fit to your windshield’s contour for smooth and streak-free cleaning. EZ Lok system for wide connector compatibility. The wipers use Michelin’s EZ Lok connector system that includes multiple adapters for a wide variety of arm mounts including hooks, pins, and bayonets, making the Stealth Hybrid compatible with the vast majority of cars on the road today. May be over-built for some users. The Stealth Hybrid is purposefully over-built for use in considerably rough weather. Buyers who don’t specifically need a wiper that can stand up to harsh conditions may be better served with a simpler all-season beam blade like the AERO Premium. Valeo is an OEM manufacturer of quality wipers, and their Ultimate 900 Series are well made and reasonably priced beam-style blades built for year-round use. The 900 Series features one of the most aerodynamic low-profile designs on the market for superior wind resistance, while Valeo’s unique rubber technology and integrated flexors provide excellent windshield contact and cleaner, quieter wiping compared to cheaper bracket models. Extra-flat aerodynamic profile. The Valeo 900 series boasts an extra-flat profile with an integrated spoiler, making it one of the most aerodynamic designs on the market. This cuts down on drag and wind resistance, which helps your wipers do their job better when you’re driving at higher speeds. Tec3 rubber technology. Valeo’s proprietary Tec3 blended rubber delivers a silent, streak-free wiping action and slows weather-related deterioration compared to the standard rubber found on many other wiper blades. Beam-style design for all-season performance. The wiper’s beam design makes it ideal for year-round use, particularly in heavy wind and during winter. The lack of any exposed metal parts (including the hook-style connector) prevents any ice buildup that can damage or break your blade arms. Not the best value. The Ultimate 900 Series wipers are awkwardly priced in between the budget-friendly AERO Premium and high-end Bosch Icon blades, which might leave some buyers wondering if the Valeo is worth the extra money, or the extra savings, compared to the other two. A relatively new innovation, silicone wipers are a premium option that make up for their slightly higher cost with excellent cleaning performance and much greater long-term durability than most other blades. The rubber squeegees on these wipers feature a silicone treatment that imparts a water-resistant coating to your windshield, making it immediately shed water for improved visibility in rainy weather. This silicone-treated rubber also stands up extremely well to the ravages of nature; these wipers can last for up to several years of continued use. If you want long-lasting premium blades and don’t need beam wipers built for heavy winter conditions, look no further than the unique PIAA Super Silicone. These wipers feature a conventional bracket design, but where they shine is in the silicone-treated blade that coats your windshield in water-resistant oil for superb clarity even in heavy rain. This treatment also greatly extends the life of the rubber and the Super Silicone is designed to last considerably longer than competing blades. Silicone-treated wipers coat your windshield with every use. The standout feature of these wipers is the silicone-coated squeegees that treat your windshield with water-resistant oil during use. This causes the water to bead off of the glass so that rain is quickly shed and your visibility is maintained. Aerodynamic and corrosion-resistant frame. The Super Silicone’s bracket design is low profile and aerodynamic, reducing wind-related drag and stress. The frame is also zinc-plated and powder-coated for added corrosion resistance – a particular concern in wet climates where these wipers are most needed. Long-lasting blades with a one-year warranty. Along with imparting a water-resistant coating to your windshield, the silicone rubber treatment protects the blades and extends their lifespan to up to several years. The PIAA wipers are also uniquely covered by a one-year warranty against manufacturing-related failures. Considerably more expensive than other wipers. It’s worth pointing out that these are the most costly wipers on the list and among the most expensive on the market, but their superior performance and excellent longevity should be enough to offset the high price for most buyers. Not the best for heavy winter weather. As a bracket wiper, the PIAA Super Silicone is not as suitable for winter weather as a beam or hybrid model. Nonetheless, there’s no reason you can’t use these blades for spring, summer, and fall – seasons when you’re more likely to encounter rain – and swap them out for beam wipers when winter rolls around. Most people treat rear wipers as an afterthought, and while you probably won’t have to change your rear blade as often as your windshield wipers, rear window visibility is just as vital for safety on the road. When the time comes to get a new rear wiper blade you’ll want to make sure you get an OEM-quality model designed for your car. 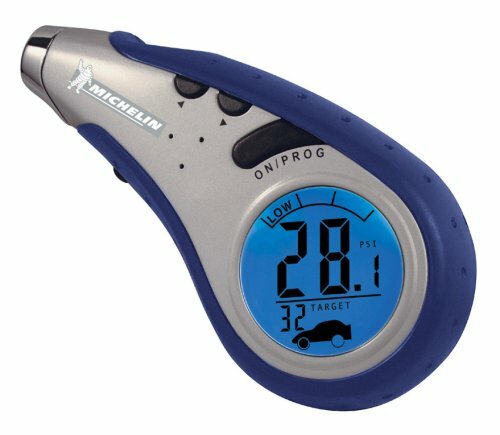 Compatibility for these can be trickier than that of windshield wipers due to unique connectors, however, so it’s important to select a product that is available in a variety of mount types or includes adapters for them. Purchasing a rear wiper for your car generally isn’t a huge or frequent expense, but it’s important to select a good OEM-quality blade to ensure rear visibility and the ANCO AR Series fits the bill perfectly. The AR Series wipers come in four different lengths with four different connector types to fit the majority of modern domestic and import vehicles, and ANCO blades deliver consistent performance that gets the job done for less. OEM build quality. ANCO has a long history of manufacturing OEM-quality wipers, and the AR Series lives up to the brand name. You can expect the AR rear wiper to look, feel, and function just like your car’s original blade and not like a cheap after-market part. Available in a variety of lengths and connector types. The AR Series comes in 11-, 12-, 14-, and 16-inch lengths and is compatible with Roc Loc 2, Roc Loc 3, slide pinch, and snap claw connector types. The AR wipers offer compatibility with a wider range of vehicle makes and models than other blades that often only work with one connector type. Excellent performance for cheap. For less than $10, the ANCO AR wiper performs consistently well at keeping your rear window clear. Its smooth and streak-free cleaning action and low price give this blade an excellent price-to-performance ratio. Not compatible with all vehicles. There is naturally no one-size-fits-all rear wiper blade, and although the ANCO AR Series offers more connector types than most models, it will not fit every vehicle. Rear blades use different mounts than windshield wipers, so be sure to do some research on what rear wiper connector your car uses before purchasing.